This weekend marks the first day of spring, with the official change of seasons occurring Sunday, March 20, 2016. Have you planned a parade? Okay, so maybe the new season isn’t worthy of that much fanfare, but as you crawl drowsily from your wintery hibernation cave, here are six ways to commemorate the arrival of spring in Bend, Oregon. Spring flowers pop up a bit later and with a little less flourish in Bend than they do on the other side of the mountains, but you can spot plenty of pretty little blooms if you know where to look. Downtown Bend is a great place to look for pretty little spring crocuses. 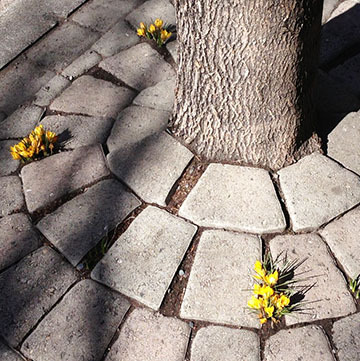 Between the pavers around tree trunks around Downtown Bend is a popular spot to see little yellow and purple crocuses when the ground isn’t covered with snow. If wildflowers are your thing, meander up Pilot Butte or out into the Oregon Badlands Wilderness. You won’t see lush waves of color, but you will see hardy little blossoms of larkspur and sand lilies threading their way through the volcanic soil. Spring Break happens at different times of the year for different states and different cities, which is a good thing when it comes to planning a spring vacation in Bend. It would get kinda crazy if everyone showed up at once. To get started finding a place to rest your head, check out Visit Bend’s lodging pages, where you’ll find a plethora of hotels, vacation rentals, resorts, and B&Bs. Things can book up early during holiday weeks, so be patient and be prepared to try a few places before you find one. Visit Bend’s Event Calendar is a great starting point to figure out what’s happening during the days you plan to be here. You’ll see everything from concerts to athletic events to art exhibits and more. Even though spring is here, the snow sticks around at higher elevations for a while longer. That’s worth keeping in mind with a few of the landmarks on most people’s Bend bucket list. 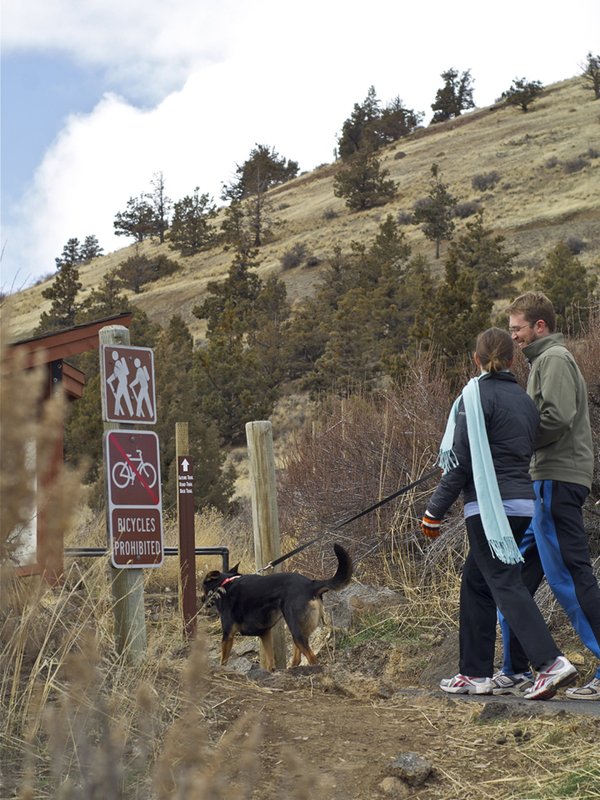 It’s a great time of year for a hike up Pilot Butte! If you plan to visit Pilot Butte, don’t forget the road leading to the summit is closed to vehicles between November and May each year. That’s actually preferable if you plan to hike it (which I recommend) since it means you won’t have to dodge motorists hell-bent on setting a land speed record for reaching the top. Newberry Volcanic National Monument is another spot that’s much different (read: quieter) to visit in the springtime than in the middle of summer. The Lava Lands Visitor Center won’t reopen to visitors until May 1, but guests can still park outside and do a self-guided tour of the lava beds or even hike to the top of Lava Butte. Lava River Cave is closed this time of year, but Boyd Cave (just off China Hat Road south of Bend) is open year-round to fill your cave quota, or you can book a guided cave adventure with Wanderlust Tours. Visiting Tumalo Falls this time of year requires a bit of extra hiking (or snowshoeing, as the case may be). While the road leading to the regular parking lot is closed during snowier seasons, you can still stash your car by the gate, grab your snowshoes, and set out on foot. You’ll likely encounter a mix of snow and bare dirt, but the snowshoes may come in handy as you get closer to the falls and beyond that. Don’t forget to dress warmly and bring plenty of water and snacks. After months of having to bundle up like I’m going on an Arctic expedition every time I want to hike the Deschutes River Trail, I relish the springtime when I realize I can enjoy this little pleasure with a lot less clothing. Not only that, but the extra hours granted to us by daylight savings time make early evening hiking a little more do-able. On warm spring days, you can skip the coat and hike the Badlands with just a fleece. But don’t get too cocky just yet. The weather can surprise you in Bend this time of year, so even if you set out in short sleeves under sunny skies, be prepared with a few extra layers in your day pack. Toss in a fleece jacket and a windbreaker or water-resistant shell to protect against wind-gusts or spring showers. A hat and gloves can come in handy as well when temps drop unexpectedly. The water on the Deschutes River is still a bit chilly for most of us to think of breaking out the standup paddleboard, but this is exactly the time you want to start getting your gear ready. It’s a little too chilly still for this, but start getting your gear ready now! If you’re in the market for a kayak, canoe, or SUPing gear, you’ll find tons of great retailers on our website who’d be happy to take a little extra time educating you on equipment during this slower season. It’s also not too early to book ahead with local tour companies who can take you out canoeing or whitewater rafting when the weather turns a bit warmer, so plan ahead to have your pick of dates and times. Before you get too excited about warmer days to come, don’t forget that Mt. 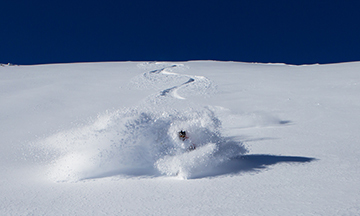 Bachelor has one of the longest ski seasons in North America. Still plenty of skiing and bluebird skies up at Mt. Bachelor this time of year! In fact, things are just heating up (no pun intended) with bluebird days and plenty of snow still covering 3,700 acres of lift-accessible terrain and the highest skiable elevation in Oregon and Washington. Be sure to check the Mt. Bachelor website for details on special packages and promos. You’ll also find handy up-to-the-minute conditions reports and info on catching a shuttle to save you the hassle of driving up the hill. Next article: The best of the Bend Buzz Blog. Did your fave make the list?